Well, it happened. 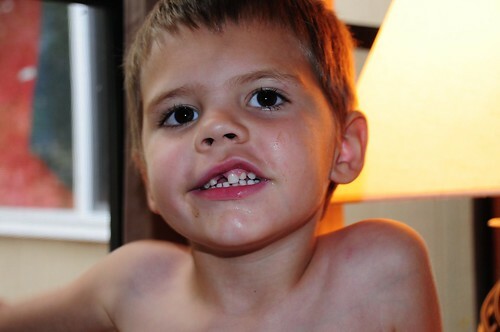 July 12, 2012 Qade lost his first tooth. 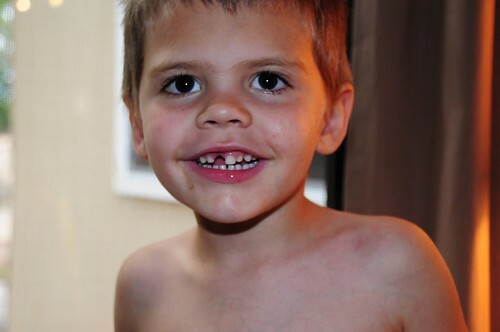 It’s premature so who knows when he’ll get a “big” tooth that he’s so interested in. Ha ha! 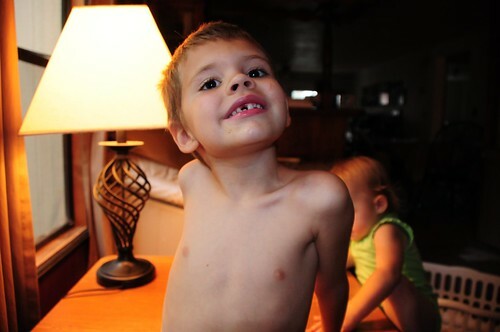 But I confess that toothless kids are so stinkin’ cute! 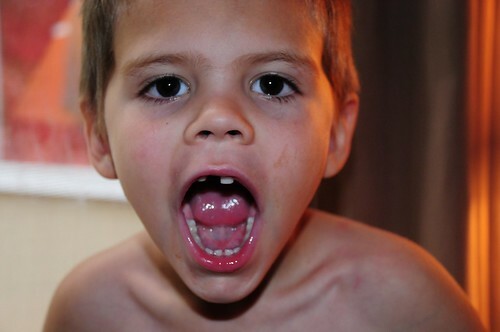 One of his first questions when the tooth came out was, “Can I get my 5 yr old pictures done now?” So I guess now I really do have to get on the ball. 😉 I didn’t remember telling him that I wanted his tooth out first, but apparently I did, and he remembered it well. 5 yr old photos will soon follow, but for now these will do.